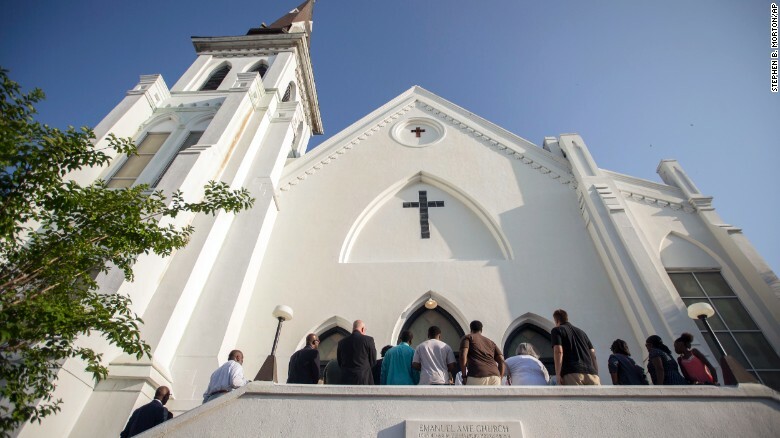 I am sure that all of us have been sickened to our stomachs by the recent shooting at Emanuel African Methodist Episcopal Church in Charleston in the USA where 9 people died at the hands of a gun weilded by Dylan Roof. Whilst not in our own nation and therefore not our direct concern, the amount of gun violence leading to death in the US seems to be on the rise. What made this case different to many of the other incidents of gun violence in the US and in our own nation was the response of the victims’ families. In recent days, the chief magistrate offered the families of the victims to make statements to Dylan Roof, in court before his bail was set. One after one mothers, sisters and grand mothers stood to speak on behalf of their grieving loved ones. In the face of such inhumanity, especially bearing in mind that the church in question played a key part in the Civil Rights Movement, it would have been all too easy to condemn the gunman and label his actions as acts of racist terrorism and add more words of hate. Instead something else happened in that courtroom. I find the offer of forgiveness from these families radically challenging, life affirming, & deeply counter-cultural. In Jesus ministry when we see forgiveness of one person, or their healing, the effects of it spread like ripples when a stone is dropped in a pool. That forgiveness or healing reinstates someone in a family, in a community, in a neighbourhood - as one life is restored so others are affected and renewed. Community is made when love is shared. We may not come face to face with the horror of a loved one gunned down, but we will often be confronted with situations in our families, friendships or neighbourhoods where our natural inner response might be that of anger based on injustice which if left to fester might lead to hatred. But that’s the easy way. Jesus’ way challenges us, those grieving families in Charleston challenge us to let go of anger and hatred and in so doing our hands and hearts are then free to choose forgiveness and love. it’s not the easy task but it is the braver and bolder one. Forgiveness is hard to give and harder still to receive but it always renews, it always hopes, it always leads to transformation not just of the one but of the many it touches.